The 3 Day Silent Retreat at True Nature is sincerely dear to us. We've experienced deep transformation and gratitude with those who have found their way here to our haven in the woods. This retreat is true soul food - a beautiful support for fully participating in life. New friendships are born here and without force, our value systems get reoriented toward what is most essential. It's 3 days we are grateful to lead. 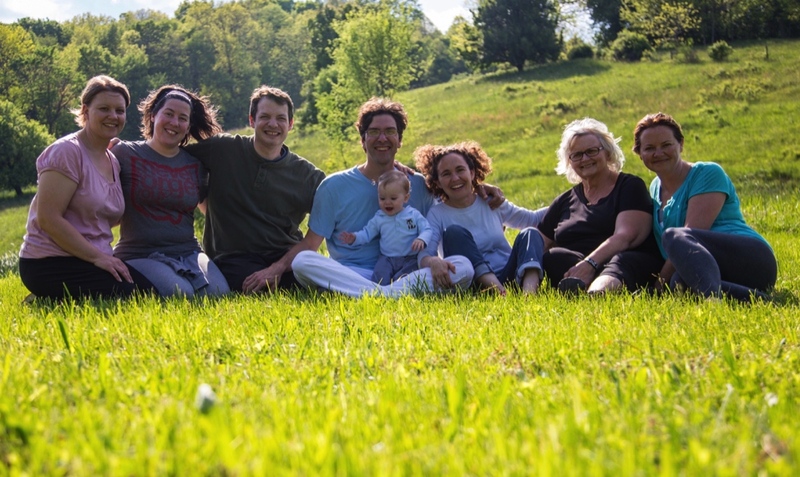 For this early spring retreat, we put the emphasis on nurturance - you'll experience meditation (both sitting and walking), yoga, Breema: The Art of Being Present, spontaneous poems, play, delicious and vital vegetarian meals, time in nature and even a Breema treatment. Some classes will be held outside weather-permitting, and free time is included to enjoy the property. Dave and Alana Pratt will lead the retreat, and they ask that you read all of the details below if you are interested in attending. The itinerary is also posted at the bottom of this page. Silence: Participants will observe silence throughout the retreat. There may be one or two exceptions to this, and clear guidelines will be given at those times. What to bring: Meditation Cushions and yoga mats will be provided, but, if you have your own, please do bring them and let us know if you're planning to do that. 1.) 4-6 participants can be lodged at True Nature in the house. 2. ) For those who prefer to stay offsite, the rate for this retreat is $260, plus tax. There are numerous inns, bed and breakfasts and cabins very nearby to True Nature. However, we only recommend this option for those participants who feel sure that they can maintain silence and the intention of the weekend. For nearby lodgers, we suggest Hotel Millersburg, Zincks, The Barn Inn, Tranquil Acres, Ferngully Creek Cabins, Cricket Hill Cabins, Mrs. Millers Cabin and the Comfort Inn. The Barn Inn is only about 1/4 of a mile away from True Nature and makes for a nice walk along our quiet country road. For a more complete listing, email or call us.